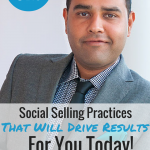 Are you doing social selling? Are you confused on how to do it properly? Well, this episode with Jack Kosakowski will teach you how you can become a social seller. 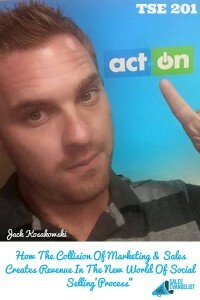 Jack is a Regional Sales Manager for Act-On Software. 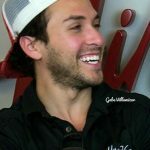 He is the Social Selling “e-BRANDgelist.” Jack is also a social sales advisor for Chillpuck.com. He is a motivated social marketer looking to help people drive revenue. How do you get from social to revenue? Start the conversation on Twitter and then connect with them on LinkedIn to further expand the sales opportunity. With social selling, you have to develop a full strategy. Each company is different, so they develop and focus on the channels/means that make sense for their business. One of the first things we must do as we go out and social sell is to give TONS of value first. Many times, as salespeople, we want to GET so we don’t think about giving. Give first and then you will get. Warm call- set up a strategy to do a warm call and tag the person online when you share something they produce. For someone who writes, they appreciate the fact when someone else enjoyed their content and in no time they will notice you. Then, when you call, it will be a warm call and that will be more effective for you. Many salespeople say they “don’t have time to so social selling”. The best way to do this is to set apart time to do social selling activities. Learn the fundamentals of selling and then seek to set yourself apart by gaining a competitive edge. Be FOCUSED as a salesperson on who you want to go after. Look for content that is HOT off the press and that will help you become a source. Seek to become a trusted adviser and then add value to those you sell to. Salespeople need to be motivated from the inside to be successful. How can I get started with social selling? Find your target buyers. Find out when they produce content online, seek the opportunity to comment and share their stuff.